A fan admitted on Instagram quite a while ago they had just done it for fun. 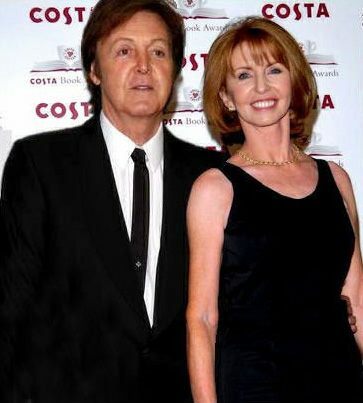 ....I can’t find any evidence of Paul and Jane being in the same room since they broke up in 1968. I’ve read somewhere that they where together at a 1994 charity event. But I don’t know which event was, so I haven’t find pictures nor any kind of information about if they spoke to each other nor anything. Yeah, I knew about that photoshopped pic as well. And I don’t understand why I put articles like this under Broadcast sometimes and they get moved to Not Such A Bad Boy, but this time it was moved to Broadcast! Very unclear as to what goes where. I was wondering that as well, as to why this was moved. It's not a current news item. I figured you'd already know about the photoshopped pic, was just posting info in case others might not know that and think it's a real photo of them.